2016 is just hours away and the craziness of the holiday season is finally coming to an end. You’ve eaten, drank, partied, and given gifts. You’ve run yourself ragged and done all that you could to have fun with friends and family. The time was well spent, but maybe now it’s time to think about the future. Yes, it seems like every year we all create a long list of resolutions that we swear will stick throughout the new year and beyond. We will eat better and exercise more. We will nicer to people and call our moms more. To be honest, I do my best to do all of these things each and every year because these things, these wants, these resolutions are what we really should be striving to achieve. Aside from the big resolutions, there are perhaps some others that may not come to mind right away but could certainly be just as important and life changing. How about taking up karate for exercise and self-defense, or how about working at a local women’s shelter a few times a year? These are resolutions that would make a huge difference. There are also resolutions you could make that could really improve your overall health, well-being, and disposition. I think chief among these for me, as well as so many other women, would be to improve their smiles and really make it beautiful. Just take a look at the following. See what I mean? A great smile makes all the difference in the world. A great smile brings confidence and happiness since your smile is a real reflection of who you are and it’s one of those things that people notice in photos, in person, on job interviews, etc. When deciding on the best way to improving your smile, there’s one really great option you need to consider. I’ve heard it time and time again. It’s Invisalign. Invisalign is an incredible option for adults and kids looking to straighten their teeth. It is a series of nearly invisible, removable “aligners” that are used to gradually straighten teeth without metal or wires. The best part is that Invisalign’s treatment capabilities are not just limited to mild cosmetic cases. Due to many advances in its proprietary technology, Invisalign can effectively correct a broad range of more complex cases such as: overly crowded teeth, widely spaced teeth, open bite, crossbite, overbite and underbite!! With my current job, my smile is my calling card and oh so important when I’m taking photos or shooting videos. It’s my livelihood and something that I need to take seriously. It also just feels great to have the best smile I could have. The important thing to remember is that every patient’s needs are different and there are many factors that determine the cost of Invisalign treatment, but in most cases, Invisalign is comparable in cost to traditional braces. Also, most dental insurance plans cover Invisalign treatment and affordable financing options are often available. The length of treatment depends on the severity of each case and can only be determined by the treating doctor; however, the average Invisalign case takes about a year. Treatment time is about the same as with metal braces and in some cases, shorter. To find out more about the cost, the procedure, and what the best course of action would be for you or your loved ones, please be sure to check out this link to locate a doctor that works with Invisalign. This is a wonderful way to start off your 2016 the right way!! It’s important to thinking about YOU sometimes, and a new year’s resolution to have a knock out smile is a perfect way to pamper and improve yourself. Tackle 2016 with a brand new smile!! 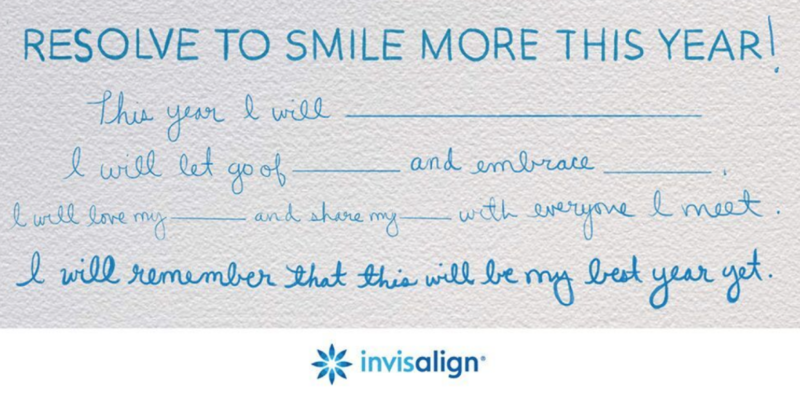 If this is something you’ve been wanting to do or look into, the time is now to look into Invisalign! Go for it!